Considering Building a Cob House? The first house made of mud that I ever saw was the one my Grandfather Carl Romelsbacher built in a little town called Meridian California. He and his father along with uncles cousins and friends farmed the land together. 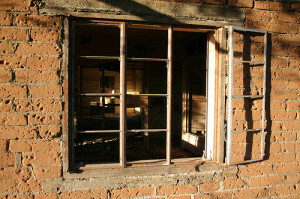 By hand my grandfather built an adobe brick house some 60+ years ago to raise his little family and today it still stands. It now sits vacant and it has been through floods, shot up by teenagers, baked in the many long hot summers in the Sacramento Valley and wet winters to boot. Yet it still stands. I think the idea of building with natural materials was inspired by my grandfather’s choice. Someday I hope my husband to build us our own little house made of mud and so I frequently am drawn to books that describe the process. 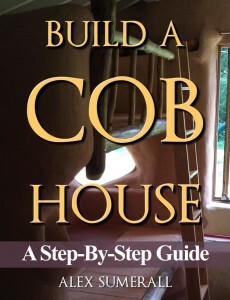 If you’re dreaming of building your own cob house I can’t recommend this book highly enough. So what do you think? Ready to get building?